Authors are invited to submit full papers or extended abstracts for consideration to be included in the program of CARMA. Only original papers describing previously unpublished research, not currently under review by another conference or journal, can be submitted. All papers will be peer reviewed by the scientific committee. 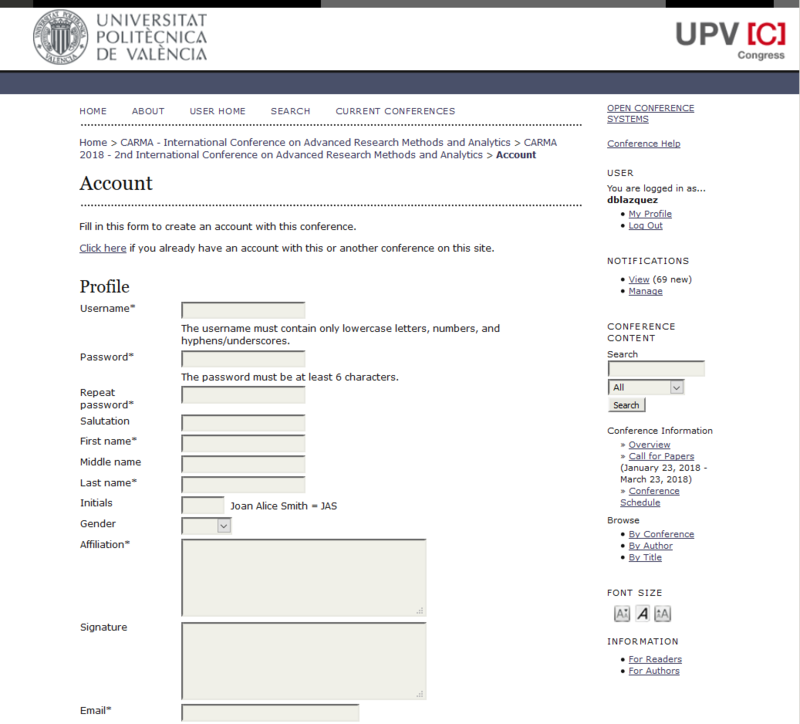 Accepted full papers will appear in the conference proceedings, published by UPV Press, and will be provided with a DOI number and indexed in major international bibliographic databases. Papers must be written in English and must follow the instructions in the template file, available in Microsoft Word format. To facilitate double-blind review, please ensure that your manuscript does not reveal your identity. Full-paper length must be between 4 and 8 pages (A4 size), incorporating all text, references, figures and tables. Extended abstracts (which will not receive a DOI) should not exceed 3 pages. These guidelines are strict: papers failing to adhere to the guidelines (by being more than 8 pages, altering margins or not following the template) will be rejected without consideration of their merits. 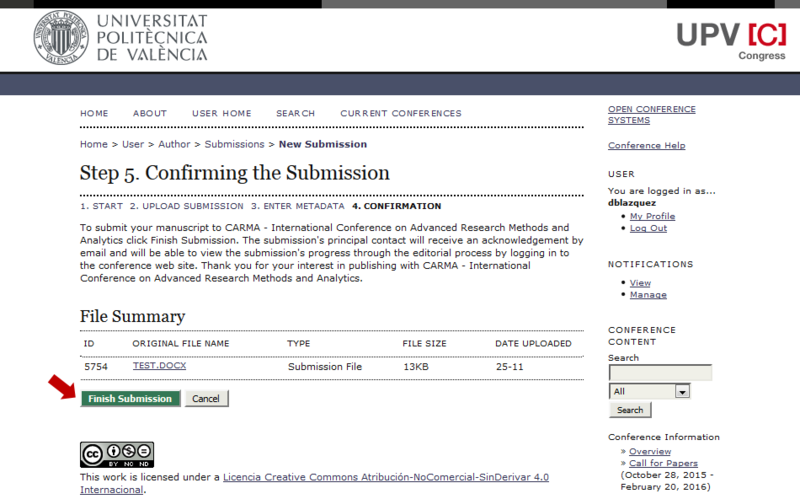 CARMA is using the OCS platform of UPV Press to manage the submissions. In order to submit your paper, you must first create an OCS account. OCS will provide you with a submissions homepage where you can register your paper submission and make appropriate changes. In case of questions related to the submission process please contact us at secretariat@carmaconf.org. Complete the profile data and be sure to select the Reader and Author roles. 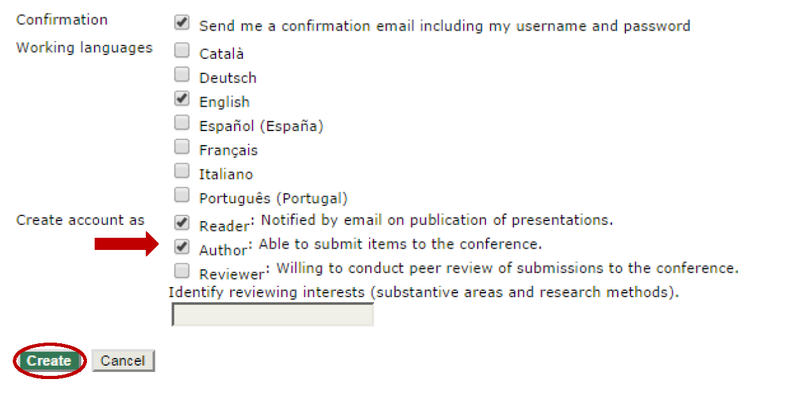 If you would like to participate in the peer-reviewing process, you are welcome to select also the reviewer role. Then, complete the submission checklist, read and accept the copyright notice and save all changes. 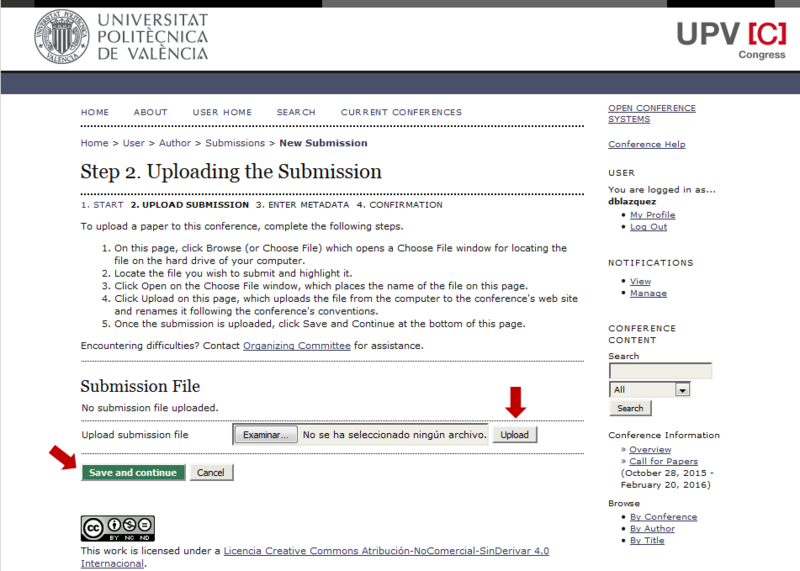 The second step consists of uploading the paper (only PDF files are accepted). Ensure that the paper follows the instructions in the template file and remember to click on “Upload” after selecting the file before saving the progress. To facilitate double-blind review, please ensure that your manuscript does not reveal your identity. 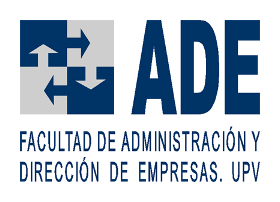 The third step consists of entering detailed information about the authors and the paper. 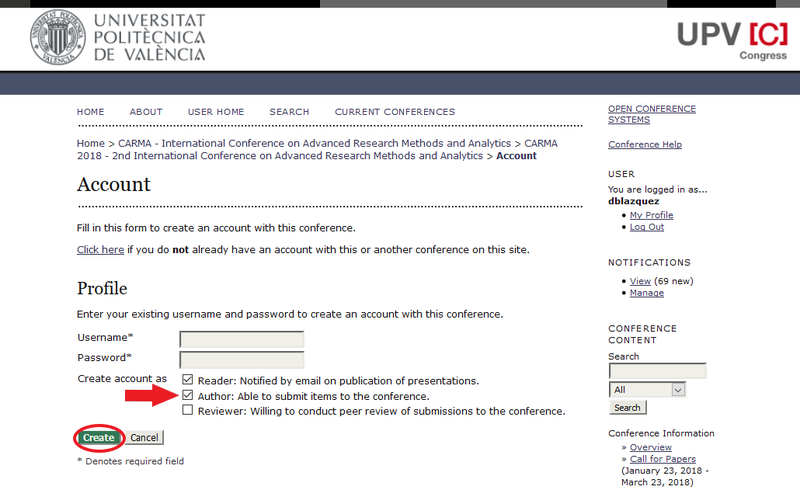 Please, remember to include the details for all the authors of the paper (click on “Add Author” after each author’s details are completed). Please, ignore the last two sections about DOI and pagination (see image below). You should not write any information there. Please, check that you uploaded the right file (in PDF format) and that details on all authors are included before submitting the paper for review. 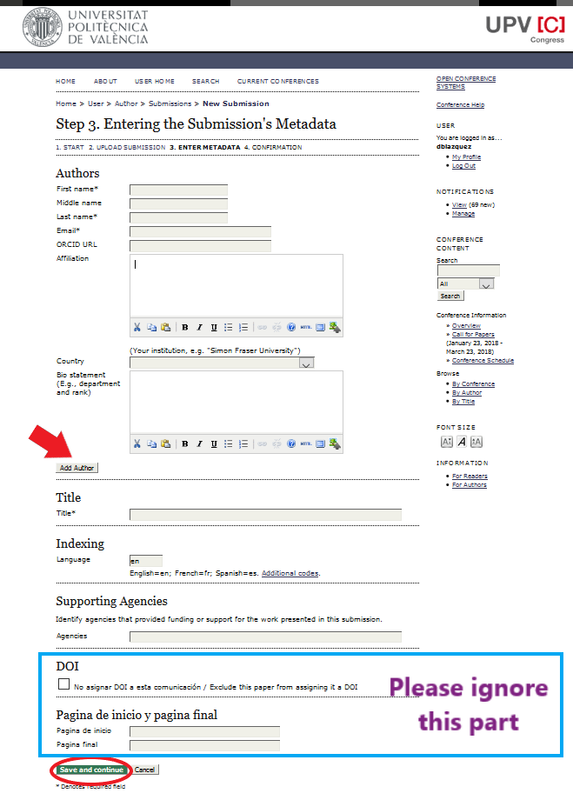 It will not be possible to modify the submission details after this step. After the submission, an acknowledgement email is sent automatically to the author. 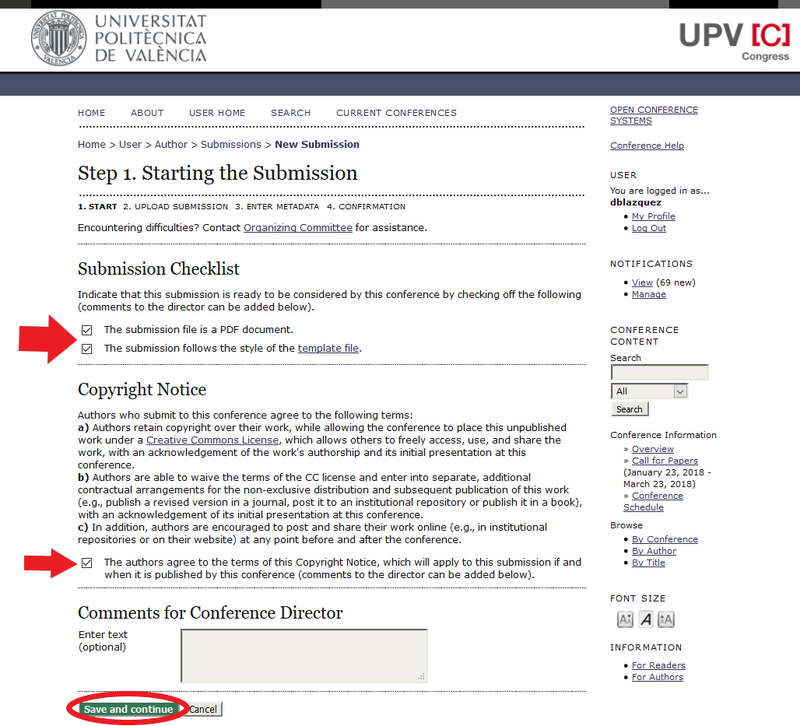 If you do not receive this email within few hours, please, contact us at secretariat@carmaconf.org to ensure that your paper has been properly uploaded. 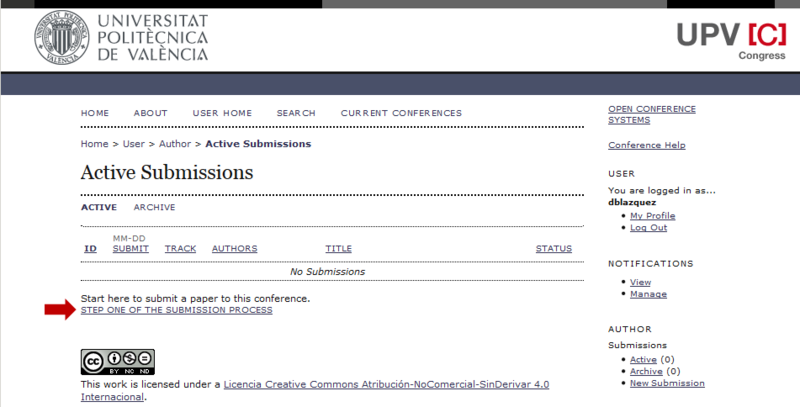 You can also check the status of the paper in the “Active Submission” list (see step 1).